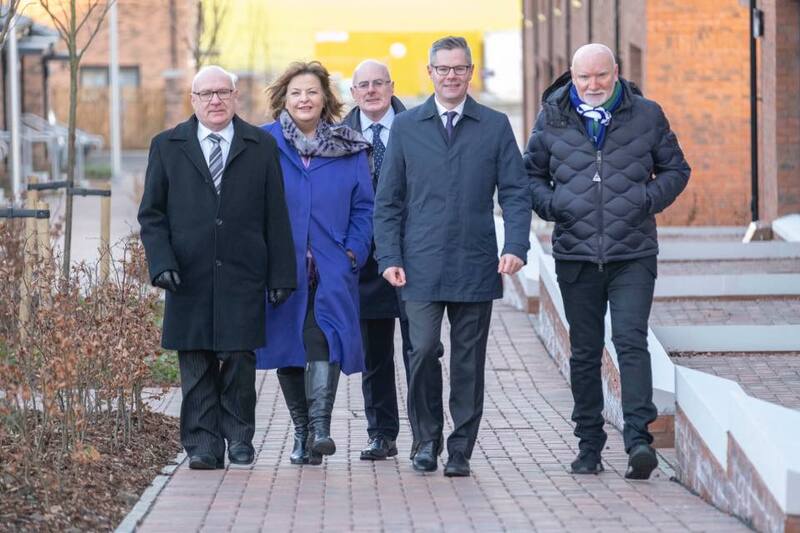 Fiona Hyslop MSP for the Linlithgow Constituency welcomed the Economy Secretary Derek MacKay to the Winchburgh Development on Thursday (17th January) where he announced further funding for the new Development. “It was great to welcome Economy Secretary Derek Mackay and Sir Tom Hunter from West Coast Capital to Winchburgh to announce £26.8m loan from the Building Scotland Fund for the new Winchburgh Development. “This extra funding along with the £50m from the Edinburgh and South East Scotland City Region Deal will see over 3000 houses, new schools, a canal marina, new rail station, a public park, a new town centre and will offer a number of economic development opportunities.